Hello! 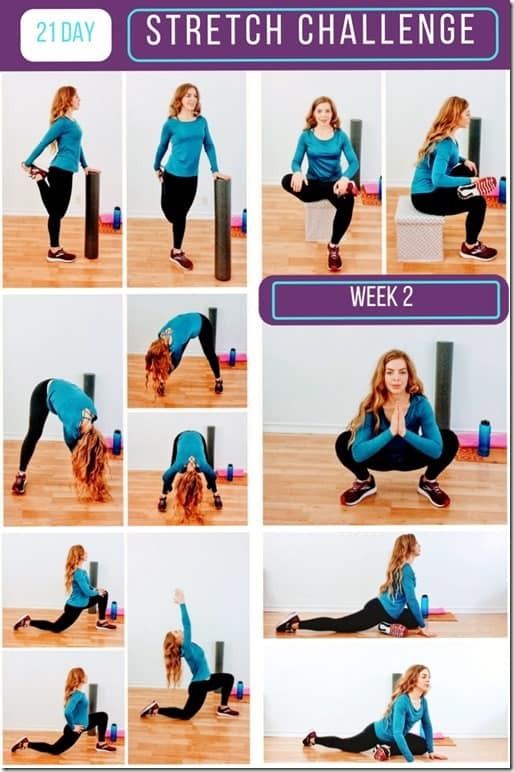 Welcome to week 2 of the Stretch Challenge! How’s it going? After your run or workout do the stretch for that day. If you have the time – do a few stretches from last week too! And remember to chime in on Instagram to check in with your workout/run/rest day/random update! Here are all of the stretches for this week. We’re moving to the legs and lower body after focusing on upper body stretching last week. The Stretch Challenge Calendar has the names of each stretch – so make sure you signed up for the emails to get the Stretch Calendar printable here. After your workout / run stand near something that can help you balance. Bring your right foot towards your backside and grab your ankle with your right hand. Stand tall, breathe and pull your ankle towards your backside. You should feel the stretch in your right quad. Hold for 15 to 30 seconds. Repeat on the left side. Always consult with your doctor before starting a new diet or exercise program. Stop if there is any pain.Be smart, safe and kind to your body. Question… How did week 1 go? Give yourself credit for what you were able to accomplish and then build on that! Run Eat Repeat Instagram for a LIVE video check in. 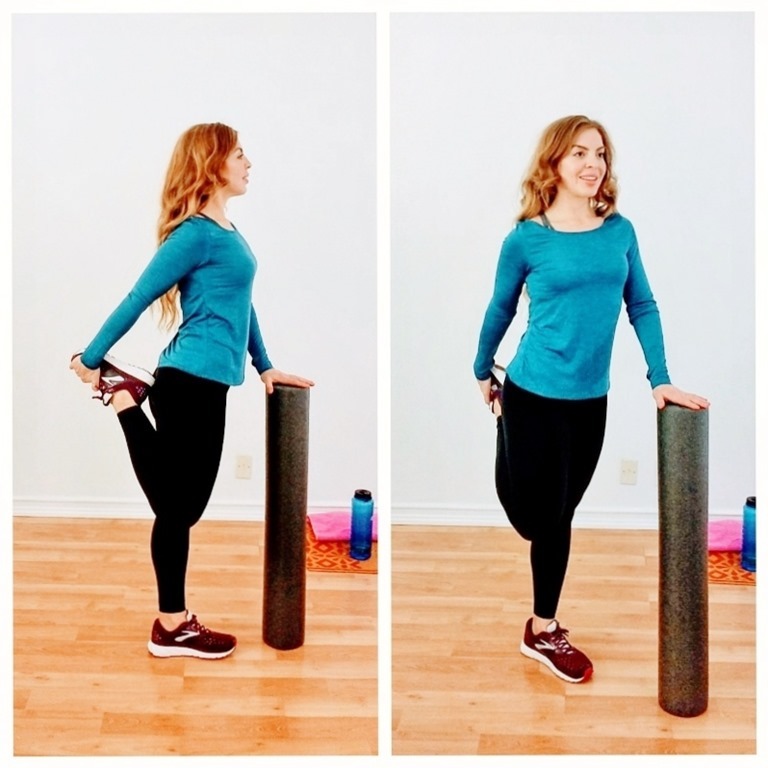 The post 21 Day Stretch Challenge for Runners Day 8 appeared first on Run Eat Repeat.